This fantastic evening option is ideally suited for tour groups and individuals to maximise a travel day to or from Tongariro National Park. This walk is also great for those who would like to experience the volcanic terrain but have limited time or fitness for the more strenuous full day treks. This is a superb way of experiencing the Tongariro National Park and enjoying this stunning time of day. 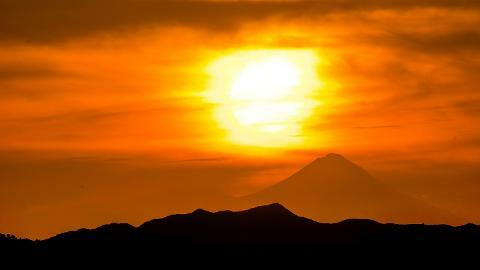 The sunset tour is an easy 2 hours in amongst the Tongariro Volcanoes. We pick and choose the exact route to suit the level of ability for the group for example, if walking on a pathless track is too difficult, we can change the route to something easier. We walk for approximately 60 – 80 minutes before selecting the ideal spot to enjoy a glass of New Zealand bubbles as we watch the sunset. The preferred route is the Taranaki Falls loop track, other route options are a return trip starting on the world famous Tongariro Alpine Crossing track, return route out to sunset ridge or Meads Wall. Your guide will talk about the area with their local knowledge of geology, volcanology and New Zealand cultural history. A memorable way to see the National Park with sunset lighting up a majestic Alpine setting. The 2-hour sunset walk can be moved forward to a 2-hour day walk. This option is only available for groups on application. Guide/s, transport between the Adrift Tongariro base and the activity, a glass of NZ bubbles, $40 of clothing and footwear hire (boots $20, clothing $10 per item). 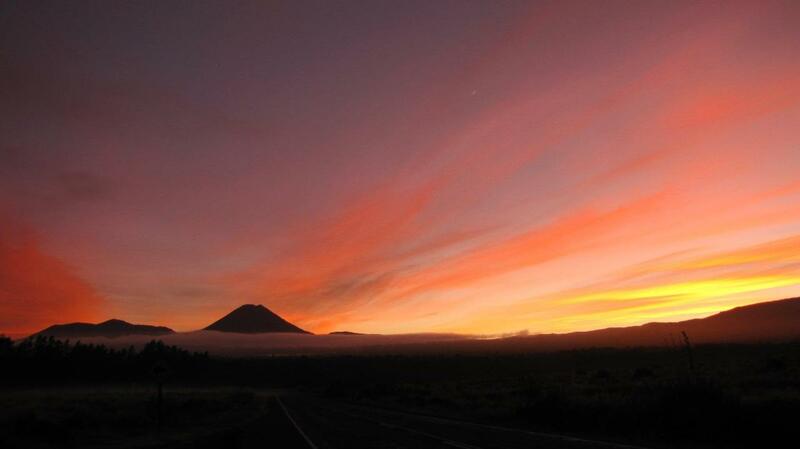 Meet at the Whakapapa Information Centre: Times vary daily and will be advised in accordance with the changing sunset times but are 2 hours 15 mins prior to sunset and vary between 7:00pm Summer (1 October - 30 April) and 3:00pm Winter (1 May - 30 September). Please call Adrift Tongariro between 10:00am - 5:00pm the day prior to confirm tour departure time. +64 7892 2751. Our preferred route is the Taranaki Falls loop track. This starts in the Whakapapa Village and we ask clients to meet us at the Whakapapa Information Center. If you are unable to get to the Whakapapa information center then we can make arrangements to meet at the Adrift Tongariro base. Return: Times vary daily in accordance with the changing sunset times but are approximately 30 mins after sunset.